Urea is an essential ingredient to giving dry skin the moisture it needs. Urea cream targets the most extreme dry and chapped skin leaving your feet feeling soft and smooth. We stock here a range of well know podiatrist formulated different urea creams such as Ureka, CCS and simply feet at a range of different strengths. We now stock a range of effective Antifungal nail treatment solutions for the management of nail infections, fungus, bacteria and viruses. Our products are all free from harsh chemicals and podiatrist approved. These are available to buy off the shelf with instruction and guidance from our Podiatrists who are happy to help assist with which product is best suited to you. 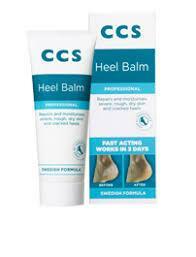 Also stocking Athletes foot creams, oils and sprays. H J Hall – made in England and not to be bettered. The range includes their famous ‘Softop’ non-elasticated sock that still manages to ‘stay up’ and socks for those with diabetes and poor circulation problems. In addition, for ramblers and countryfolk generally, we also have a selection of high performance boot and walking socks, including 100% merino wool. All are supremely comfortable and wash/wear well. If you want to know more about these excellent products, go to www.hjhall.com – or come in and see them for yourself!